Champion's Belle has beautiful mahogany colored fiber. She is half Peruvian and her fleece has crimp, fineness and density. Her sire, full Peruvian Domino, has produced outstanding offspring. Belle is a great mother and very attentive. 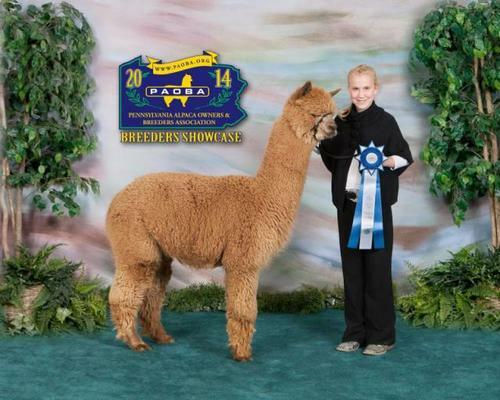 She is producing show winning cria. Belle gave birth to a fantastic female out of A.L. Paca's Blues Breaker. This little girl, Blue Belle, has very nice curly fleece showing brightness and crimp. She is very correct in confirmation. Belle and Blues Breaker's 2011 cria is a male with lots of sponk! He have very crimpy fleece and is full of energy!! This little guy has awesome fleece! Same goes for her 2012 cria, Krypton City Blues, as well. 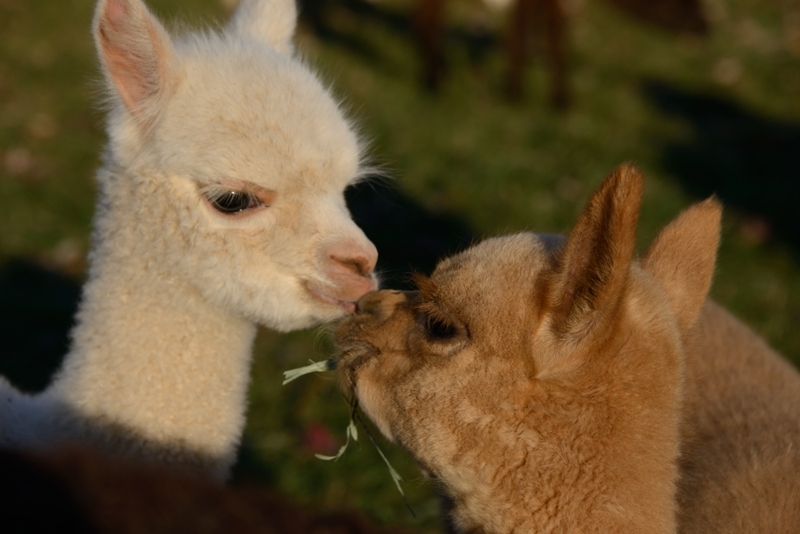 Belle's 2011 and 2012 cria have been doing well in the showring. Blue Sklyar earned a blue ribbon at the 2013 PAOBA show and helped earn Blue's Breaker a "Get of Sire" 2nd place ribbon as well. Krypton City Blues has won his first ribbon - 2nd place at PAOBA (2013). Skylar is a handsome guy and very gentle! He has good confirmation and a nice soft fleece. He has done well in the show ring.